I read this article and found it very interesting, thought it might be something for you. 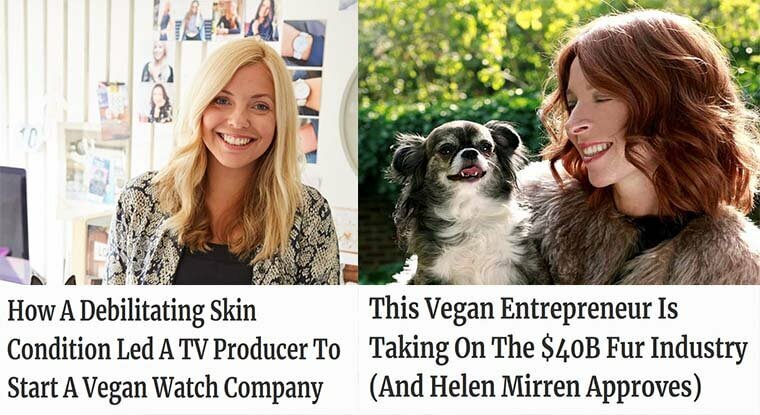 The article is called VBT 110: Why these vegan female entrepreneurs got mainstream media coverage for their brands and is located at https://veganbusinessmedia.com/why-these-vegan-female-entrepreneurs-got-mainstream-media-coverage-for-their-brands/. For this episode of Vegan Business Talk I’m going to share with you an audio recording of a 20-minute talk I gave earlier this year at the Plant Powered Women’s Leadership Conference in Sydney. Organized by vegan publishing powerhouse Kathy Divine, the conference provided a platform for a range of female speakers from all walks of life talking about various aspects of veganism and plant-based living. My talk was on how to get media coverage for your vegan brand. The aim was to explain why, as a journalist who writes about vegan and plant-based business for Forbes, I chose these two women to feature. I get a lot of pitches from both publicists and vegan business owners and I turn far more down than I choose to write about. What got Laura and Anna over the line were their stories and aspects about them or their brands which made them interesting and relevant to my audience. I also shared some tips, including an exercise I teach business owners enrolled in my Vegans in the Limelight Online PR Course and Group Coaching Program, on how you can find the stories in your brand (including your own stories as the founder). You can also watch a video of this talk, as well as read a blog post about it on the Vegan Business Media website (links below). Find out more about the Plant Powered Women’s Leadership Conference Series. Read the blog post with an edited transcript of this talk. Check out my Forbes column.